Living in Bangkok means living with the heat and the sun light. Every time you step out of your house it is an instant combat against the Bangkok heat. A short five minute walk equals drenching perspiration. The first thing anybody wants after returning home is a refreshing shower and a comfy chair to sit and relax in a cool, comfortable setting, away from all the heat and sun radiation. This is where blackout curtains come in. The primary purpose of installing blackout curtains is to help keep your home cool and maintain the indoor temperature from heating up. They act as the dual-function insulation device keeping the outside heat from entering in, and preventing the cool A/C air currents from escaping into the atmosphere outside. When you are living indoors, normal curtains could not help maintain the cold air currents from your A/C from diffusing outside. Normal curtains do not have that tightly knitted black lining materials that blackout curtains have. However, please make sure that the blackout curtains are of a good and thick variety. Many curtains are sold under the name “blackout curtains” however like most products, they come in a variety of qualities and thicknesses. 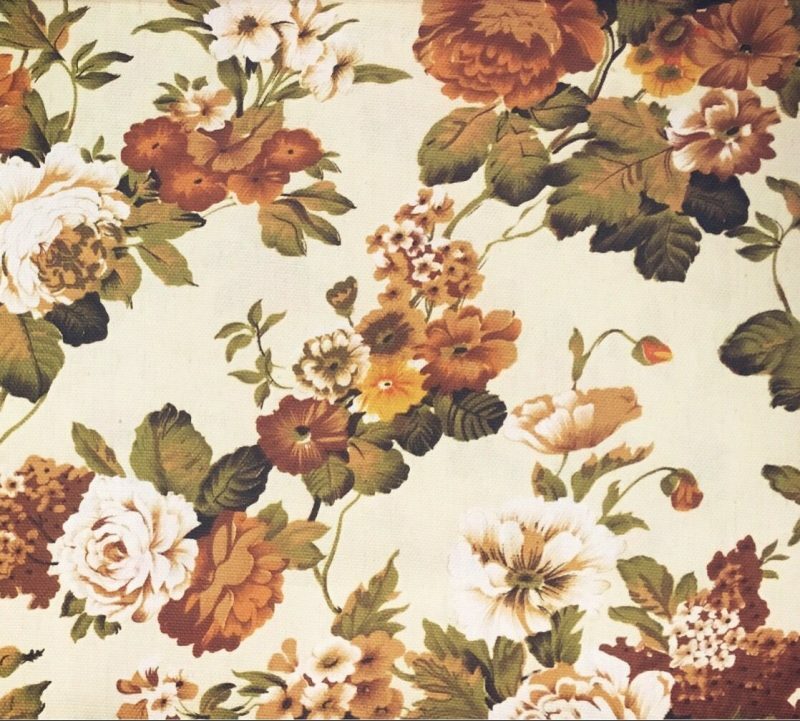 The thin varieties would not be able to block out the sun light as well as the thick varieties, so the name “blackout curtains” is not the ‘be all and end all’ of curtains. They only indicate that some blackout linings have been stitched within the curtain fabrics. To get the really high quality curtains, you have to make sure to touch and feel the fabric textures and test out the fabric against the light to measure the translucency of the curtains. Blackout curtains do not block out sun light 100%, some thin varieties only block out 70-80% of the light, the thicker varieties can block out more. To make sure you get a 100% sun light blocking quality, you could request for a silver black out lining to be added to your curtains. This way you would be sure that no light or heat is passing through your curtains during the afternoon heat. Blackout curtains simply look awesome. They come in a variety of colors and designs. 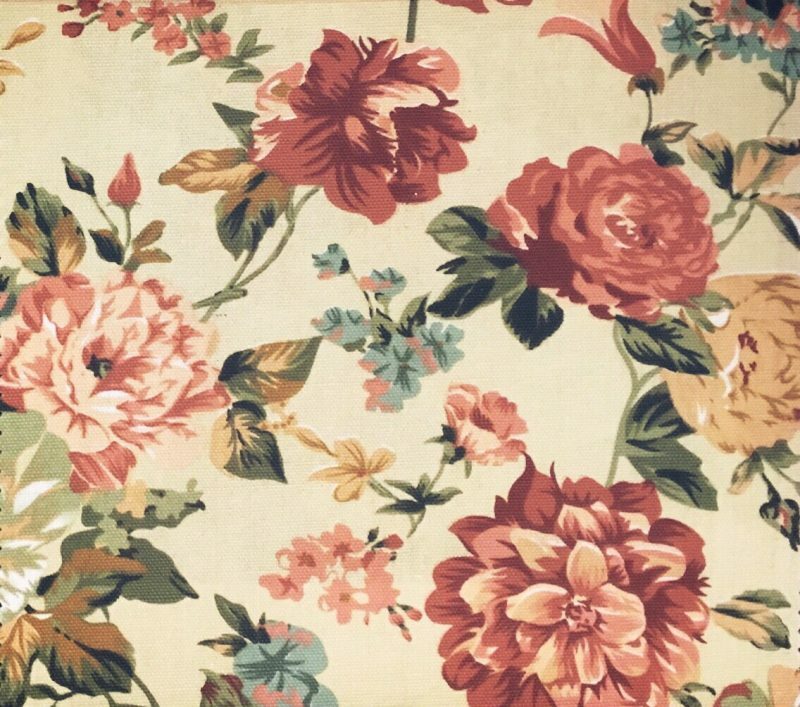 Some fabric designs have flowery patterns while others have more modern, simple patterns. A great number of black out curtains are made in simple, no design colors for customers who prefer curtains that way. I personally like some simple but nice looking patterns on my curtains. Some curtains look great with the diamond patterns while others look better on modern rectangle patterns. No matter what designs or colors you love, blackout curtains and drapes will always be the better option for window dressing. The decision to invest in blackout curtains is and will always be a wise choice. This is why blackout curtains are extremely popular, not only in Thailand, but on a global scale! Please visit our curtains fabric store today to get the best blackout curtains at the best prices. Our shop is right on Phahurat road across from China World and near The Old Siam. Feel free to give us a call at 02 223 4828 to ask about our latest offers! Fabric Plus (ATM Decor brand) sells curtain fabrics and materials in wholesale prices. We offer many ranges of blackout curtain fabrics with many designs and colors. Our black-out featured curtain textiles range from the colorful, flowery patterns to the simple, plain colors. We offer the 2.80 meter width curtain materials so that the curtain fabrics can be stitched into seamless, better looking curtains. The 2.80 meter curtains make stitching curtains easier as you would only have to stitch the fabrics at the ends without having to cut them into individual pieces and stitch them together piece-by-piece. The reason is because the width of the fabric is wide enough to be used as the height of the curtains, and you would only need to buy the amount of fabric according to the width of your windows. At ATM Decor, we provide a complete solution to all your curtain needs. We specialize in curtain materials and we provide a variety of fabrics you could use for your curtains. We offer satin, jacquard, ultraviolet protective fabrics well as blackout materials. 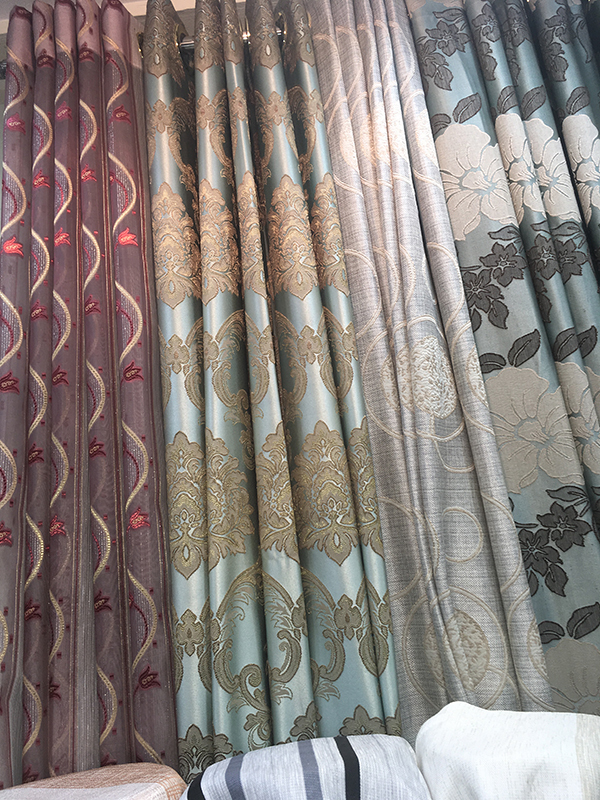 At our shop you could select the curtain rods and the style of curtains that you would like for us to make, and we tailor our curtains exactly to the dimensions of your home. Please visit our curtains store in Phahurat (Indian Town) to look for the designs and fabric patterns we have on offer. Our curtains shop is based in Phahurat Textile Market on Phahurat Road across from China World and near The Old Siam and India Emporium. Thai culture encompasses many aspects of life such as lifestyle, music, architecture, and even interior design. In Thailand, the trends of home decor and interior design has moved towards a more modern style which includes using curtains and furniture that have simple, basic colors and shapes. The popular curtains used are pleated curtains (three pinch pleated curtains) and the grommet curtains (eyelet curtains). Many also use simple Roman curtains for small or narrow windows and doors. The colors of curtains in modern designed homes are base colors like white, cream, earth tone colors, and other simple shades. The purpose for using these curtains are for mostly for function as Thailand is a hot tropical country with high levels of heat and humidity. In the contemporary concept, curtains are not supposed to be fancy or used for coloring the interiors of homes. Nevertheless, many residents living in Thailand still prefer to use curtains in the traditional concept, which is to give color and atmosphere to homes. Curtains are essentially the face of the interior, their palette and style are highly influential towards the appearance of the home. Instead of giving in to the modern style of trying to blend the curtains in with the walls and window so that they are barely noticeable, they place a high emphasis on the importance of colors and layers in window treatments. Using sheers to add softness to the room atmosphere, using tab top curtains or grommet curtains to add fun and energy to the room, or simply using colors that are cool and calming to generate a peaceful, relaxing ambience are some examples of using curtains in the traditional concept. Some people find choosing a single color for curtains to be a difficult task, as one color is limited in generating a lively, vibrant ambience to a home. Instead they prefer multi-colored curtains or the more common design of “two tone” colors which combines the dynamic chemistry between two palettes to produce a radiant, polychromatic appearance. Two tone curtains are popular as they are generally more vibrant and less restricted than standard, single color curtains. The colors can be used to mix and match in a variety of ways to recreate the room atmosphere in the the desired effect. Examples of a two tone curtain palette include the colors brown and grey, red and gold, black and white, blue and silver, red and silver etc. 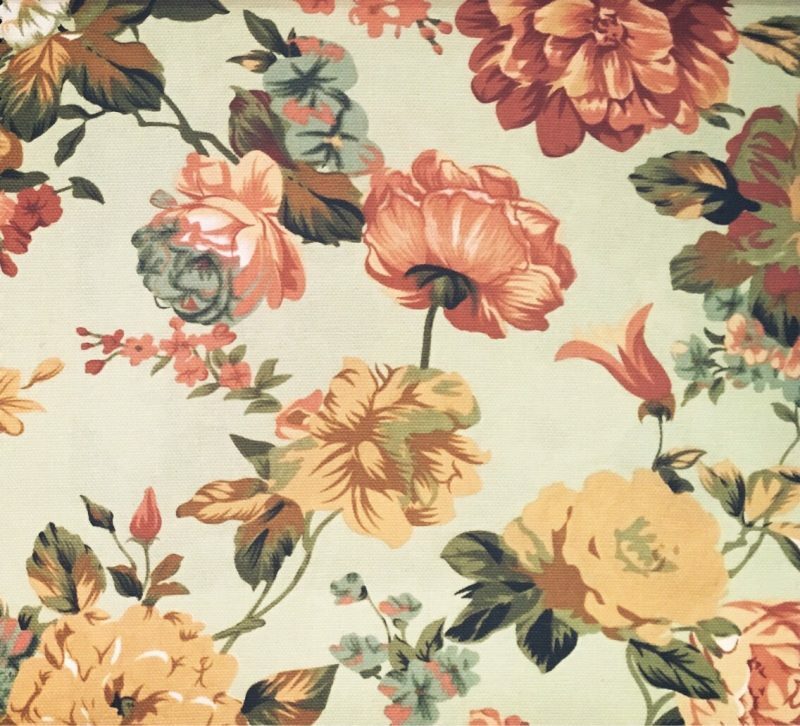 These colors exude mood and character in their own way, however when combined with other colors, their qualities may complement to produce an aura that is aimed towards a specific effect such as royalty, romance, nature, country, fun, exoticism, tranquility, cute and sweet etc. Two tone curtains are highly effective ambience generators and they are especially useful when one single color is not enough to achieve the desired effect. ATM Decor is a wholesaler and retailer of many varieties of two tone colors. We offer curtains with different designs and styles that are characteristic and vibrant. We also offer the contemporary concept curtains with simple, no pattern colors such as earth tone colors and other base colors for customers who live in modern designed homes. Continue reading Why are Two Tone Curtains so Popular in Thailand? 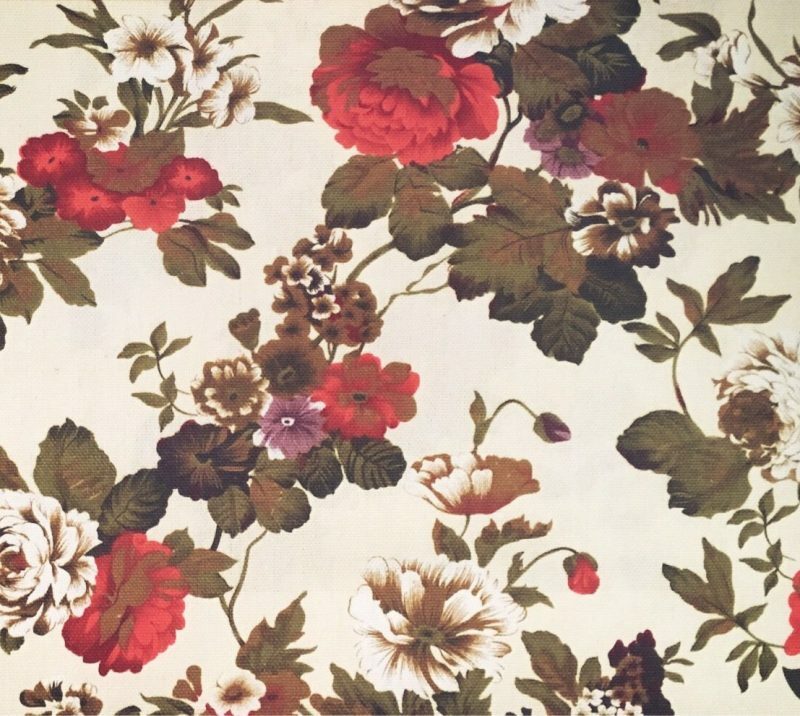 We sell high quality curtain fabrics that range from the simple, basic designs to the fancy, colorful flowery patterns into your beautiful, dream home. We tailor them to frame perfectly to the windows and doors in your home. 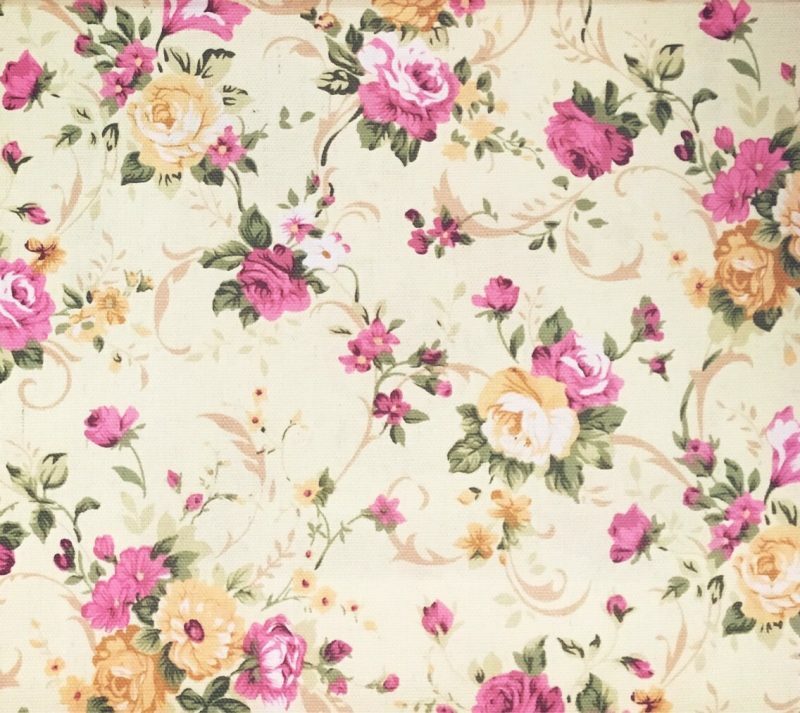 Here are some sample curtains in our shop. Fabric Plus Co Ltd wholesales and retails curtain fabrics in Little India, Bangkok at factory, wholesale prices. We specialize in curtain fabrics and tailor ‘made to measure’ curtains. 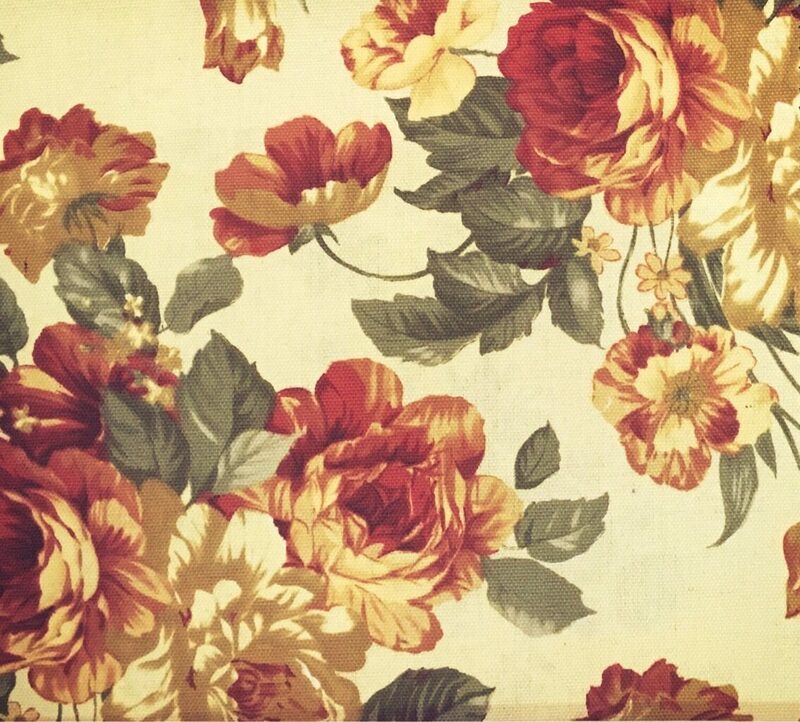 We sell curtain fabrics of high quality that increase elements of charm and elegance to your home. Our curtain tailors are highly skilled with many years of professional experience and can custom make several types of curtains and designs to frame your windows perfectly. We offer several types of curtain fabrics including satin jacquard, cotton, blackout curtains, and blackout linings. We also have many types of sheers on offer from the plain off-white colored sheers to the fancy types with many features such as intricate laces and colorful designs. Our UV blocking curtains have a special UV-protection lining in between the fabrics making them invisible and also makes the curtain look beautiful from both sides. We offer a wide variety of curtain textures: some versions with low dust retention, plain color on one side, glossy with miniature designs on the other. We focus on the details that make your curtains stand out so that they add elegance and prestige to the appearance of your home. Our installation service is clean, fast and our staff are courteous. We always want you to have the best curtains. Our shop contains entire rolls of curtain fabrics that you can choose from, the shop is on Phahurat Road right across China World. Please visit us to view the wonderful selections we have on offer. Please be welcome to contact us at 02 223 4828 and we hope to be at your full service for all your curtain needs. We focus on customer satisfaction with our products and services. 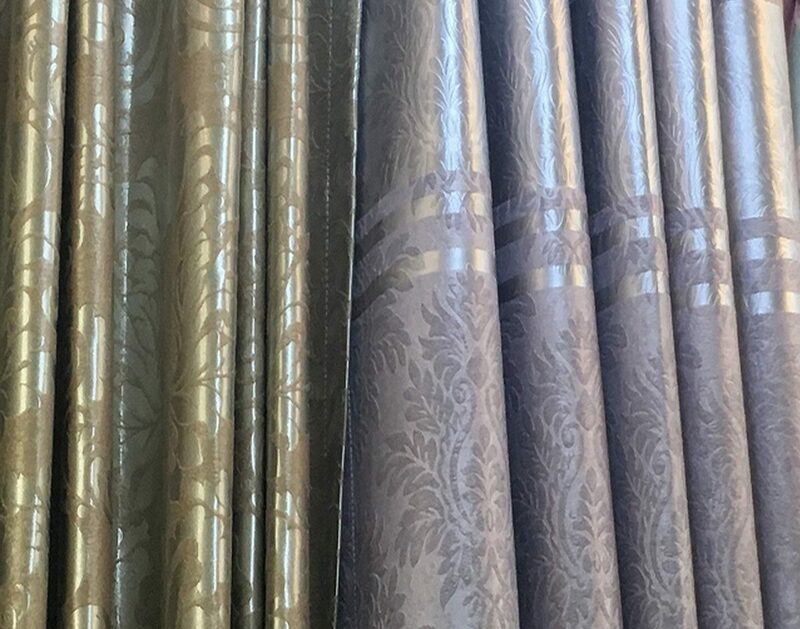 We always choose high quality curtain equipment and materials for our curtains to make sure our customers are happy with our products and services. Fabric Plus Curtains Company (Phahurat Textile Market) offers one of the widest selections of curtain fabrics in Thailand. We provide custom make curtains that frame the windows and doors of your home perfectly. Please visit our curtain fabric shop located on Phahurat road, across from China World and near India Emporium and The Old Siam to view the selection of curtain fabrics and materials we have on offer. We sell our curtain fabrics at factory prices as we order from factory and supply them straight to our customers without any middlemen. Fabric Plus Co Ltd wholesales and retails curtain fabrics in the well-renowned Little India textile market at factory prices. We specialize in a variety of curtain fabrics and offer bespoke ‘made to measure’ curtains. We wholesale and retail curtain fabrics of top quality that increase the charm and elegance to your home. Our curtain tailors are especially skilled with making curtains with many years of professional experience and can custom make several styles of curtains and designs to drape your windows in the way that bring the beauty out from the curtains. We offer several types of curtain fabrics including satin jacquard, cotton, blackout curtains, and blackout linings. We also have many different types of sheers on offer from the plain off-white colored sheers to the fancy types with many features such as intricate laces and colorful designs. Our UV blackout curtains have a special UV-protection lining in between the fabrics making them invisible and also makes the curtain look beautiful from both sides. We offer a variety of curtain textures: some with low dust retention, plain color on one side, glossy with miniature designs on the other. We focus on the details that make our curtains stand out so that they add elegance and prestige to the appearance of your home. Our installation service is clean, fast and our staff are courteous. We always want you to have the best curtains. Blackout curtains come in all shapes and colors, from the modern plain designs to the brilliant, flowery patterns, and they are highly popular in Thailand. Why are blackout curtains so popular in general? First of all, they ensure that our rooms are dark even during the bright, hot afternoons and help to reduce A/C bills … Continue reading Why are Blackout Curtains Popular in Thailand? Blackout curtains are especially popular in Thailand due to our country’s hot, tropical climate. Blackout curtains are curtains made with fabrics that are able to block out sunlight and ultraviolet radiation more effectively and efficiently than traditional curtain fabrics. However, there are 3 main varieties, and each of them have differing qualities and benefits. They are not only popular among hotels and resorts, they are also highly popular among condos, apartments, and houses. The varieties of blackout curtains are foam backed, silicone backed, and black yarn woven. Let’s look at the different varieties and assess their key similarities and differences. Foam Backed Blackout Curtains: The foam backed curtains are made from curtain fabrics that have been bonded with acrylic foam material at the surface layer. This foam lining is used to protect against sun rays as well as provide insulation from the cold and the heat. The benefits of using this variety of blackout curtains are that they provide extra insulation against the cold, and not also completely block out sunlight, ensuring that our rooms are dark and cool even during the brightest and hottest afternoons. The drawback of using foam-laminated blackout curtains are that they are relatively prone to disintegrate or crack after a lengthy period of time or during cleaning. Their relatively shorter life span means that they would have to be replaced sooner than other forms of curtains. There are also questions about their safety in terms of the potential health hazard of being constantly exposed to acrylic polymer. Another drawback is of using foam-backed curtains is in terms of aesthetics. Since these curtains are lined with relatively stiff polymers, they are not as flexible and pliable as 100% fully fabric woven curtains. Silicone (Rubber) Backed Blackout Curtains: Silicone backed blackout curtains (also known as rubber backed blackout curtains) are made of curtain fabrics that have been lined with latex rubber material. The rubber is also used to protect the interior from sun radiation and the environmental temperature differences. The benefits of using this variety of blackout curtains are similar to that of foam backed blackout curtains, the only difference is the material being used. The drawbacks are also similar to in terms of being prone to cracking, causing sunlight to be able to seep through the cracks. Rubber backed blackout curtains are also not as flexible nor as pliable as 100% fully fabric woven curtains, so they would not be able to drape as beautifully. Triple Weave Blackout Curtains: This variety of blackout curtains uses black yarn weaving as the filtering layer helping to protect homes from the ultraviolet radiation and the sunlight. The black yarn is woven into the curtain fabric, creating three layers where the the black yarn threads are sandwiched in the middle. The benefits of using triple weave blackout curtains are that they look aesthetically pleasing on both sides of the fabric. In fact, certain triple weave blackout curtains are manufactured to be able to use both sides of the fabric as the front face of the curtains. Because this type of curtains is 100% fabric woven, they are also as flexible and pliable as traditional curtain fabrics. They are also not prone to crack as they are not backed by any external material, so they have a significantly extensive life cycle. The primary drawback of using triple weave blackout curtains is that they are not 100% sunlight blocking. They only block 80-90% of the sunlight, with darker color fabrics being more able to block out sunlight than lighter color fabrics. Because they do not completely block out the sunlight, some people prefer to call them “dim-outs” instead. The preference for each type of blackout curtains depends on the purpose and individual taste. Some people prefer to get foam-backed or rubber backed blackout curtains for the function of being able to completely block out sunlight, while others do not require curtains to be able to block out the sunlight completely, but they still prefer that the curtains can block out significantly more sunlight than traditional curtains. All the three types of blackout curtains are popular in the Thai curtains market, ranging from hotels and resorts to modern houses and condos. Fabric Plus Co Ltd (ATM Decor) offers made-to-measure blackout curtains to our customers in low prices, made with the best quality triple-weave curtain fabrics of choice. We choose to sell the triple weave variety because of their lengthy lifespan and for the mass market’s preference for aesthetically pleasing curtains. Our curtains are tailored to drape all windows and glass doors beautifully and have a highly durable and long lasting performance. Our curtain fabrics store offers a wide variety of blackout curtain materials and fabrics at wholesale prices. 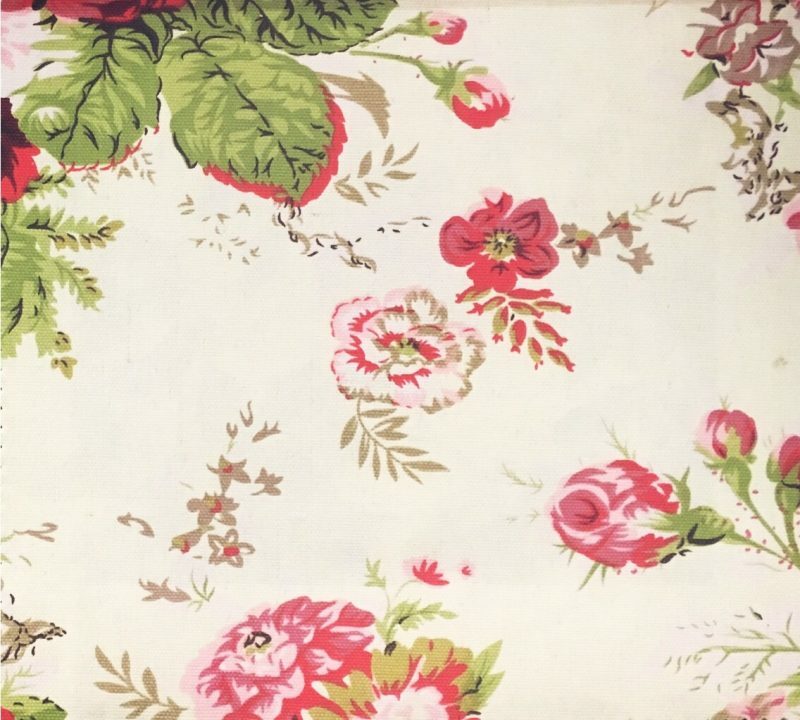 We order these curtain fabrics straight from the curtain textile factory. We provide made to measure curtains to fit perfectly on every windows and we also offer installation services for all residents living in Bangkok at the best prices. Our curtain fabric shop is located right next to Phahurat (Pahurat) Road which is popular for being the road of “Little India” (India Town). Our shop is on the same side of the Pahurat Road as Indian Emporium, and is right across China World facing the main road. 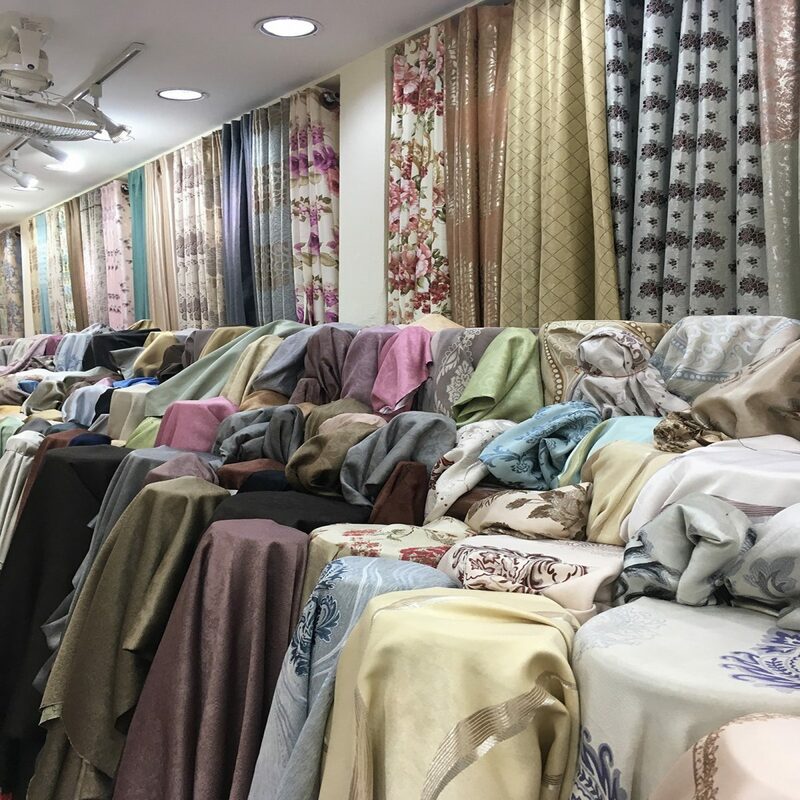 The Little India market and Chinatown market are world-renowned markets for selling all kinds of goods and products at low prices, please visit our shop to view all the curtain fabrics and materials we have on offer. At our shop, customers can get a free price quote for any custom made curtain. Continue reading 3 Types of Blackout Curtains: What are they?